We’re a big fan of SFF stuff here (well duh!). Some of us have only SFF systems, whilst some go the whole hog – SFF peripherals, cars, houses… you get what I mean. For those who love SFF keyboards, the Planck EZ 47 Key is ready for pre-order. Whilst the minimalist aesthetic and form factor may not be for all, this should please some in the SFF Keyboards forum thread. Eschewing a numpad, function keys, amongst much more, this is simplicity. As a 104 key enthusiast (I demand a numpad! ), this isn’t my thing, but to each their own! With 32 layers of key macros (insanity), open source software (woo!) and Cherry MX or Kailh keyswitches, this board does have it’s positives, even if it is a little… too little. 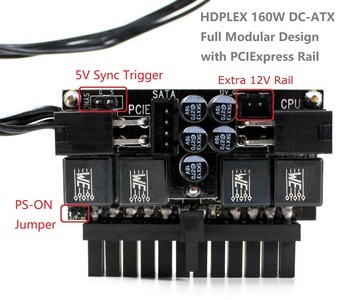 Starting at US$170 without keycaps – because who runs stock keycaps?! – all the way up to US$195 with LED backlighting and printed keycaps, this isn’t the cheapest board on the market, but it’s another option for the true SFF fan. Share your thoughts in the SFF Keyboard thread. ZSA Technology Labs, Inc. is the company behind the Ergodox EZ keyboard that we had taken a look at in great detail, and appreciated a lot. It was a retail take on the open source Ergodox keyboard concept which, until then, was available as a kit or pre-assembled by artisans in low numbers, and was not a mass-market product. One could argue the Ergodox EZ is still not a mainstream keyboard, but it certainly made things much more accessible via options to choose from for a pre-assembled keyboard, as well as a powerful, GUI-based configurator for those wanting easier firmware access and control. 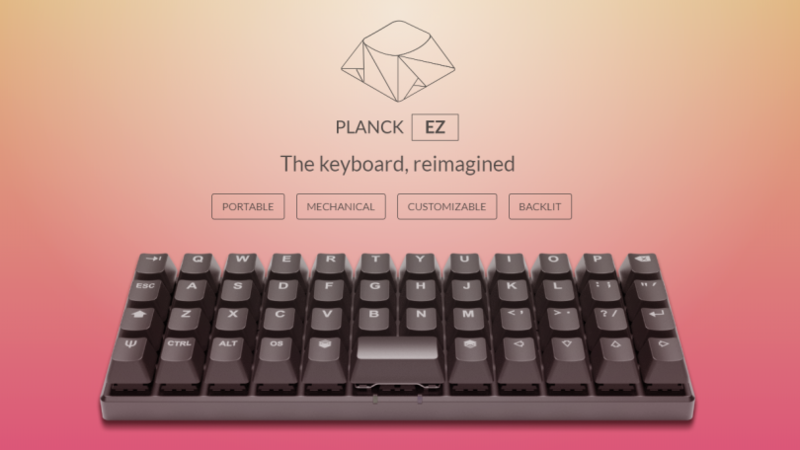 In that same vein, the parent company has now introduced the Planck EZ which, as the name suggests, is based on the 47-key Planck keyboard design. Designed in conjunction with Jack Humbert, the creator of the Planck, the Planck EZ aims to be a simple, complete, portable, mechanical keyboard built with layers and ergonomics in mind. The Planck EZ goes a bit further with adding in not only multiple switch options, but also backlighting and a buzzer that can also be controlled to play 8-bit tunes from the keyboard- definitely a first in my books! The Planck EZ is up for pre-order now beginning at $180, with an estimated shipping date in June 2019.